Disclaimer: This is a work of fiction. The events below unfortunately did not happen. This piece is meant for entertainment purposes only. It is mostly pure nonsense. Enjoy. 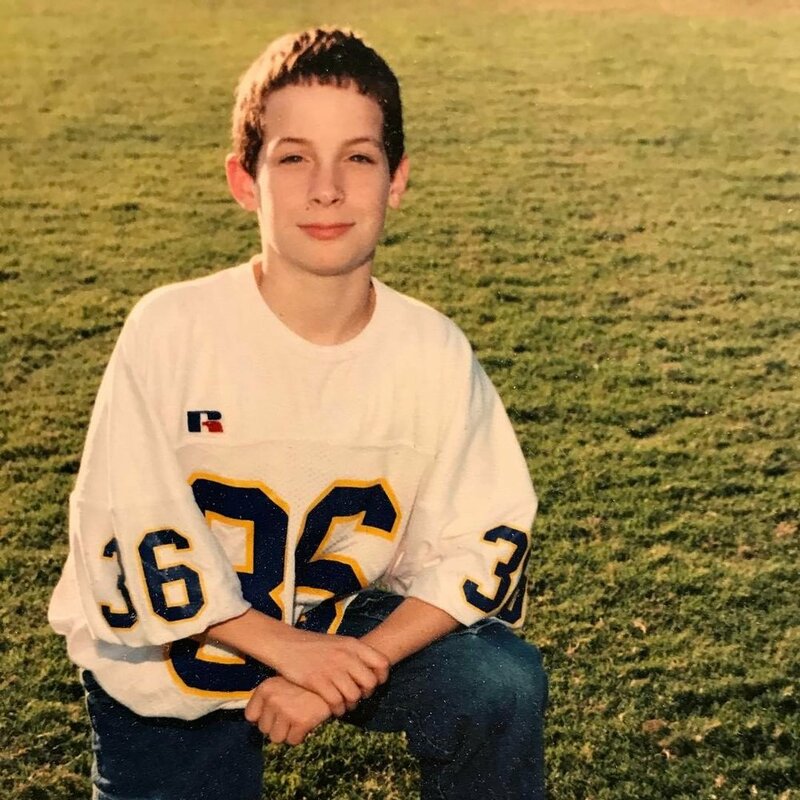 Growing up as a very masculine, athletic and handsome 7th grader, my parents found it strange that I developed an affinity for the fine arts at a young age. I had so much going for me on the gridiron and baseball diamond that they wondered why singing and dancing caught my attention instead. Just for frame of reference, here is a picture of me from that time. As you can probably guess, this interest led to my participation in various productions around town of varying degrees of professionalism. Also, I was a frequent visitor of other plays and musicals around the community with my folks. Gotta support the tribe as they say. One musical in particular that stuck out was the 1964 hit Man of La Mancha that I absolutely fell in love with immediately. It’s a classic piece of theatre that borrows various vignettes from the epic novel Don Quixote to form a somewhat original musical. If you’ve never heard a song from this show, I implore you to watch this clip below. Isn’t that amazing?! We’re getting to the baseball in one second, I promise. Stick with me. Now, Man of La Mancha is THE seminal piece of art produced by Mitch Leigh, Joe Darion, and Dale Wasserman as a writing team. From Leigh’s captivating classical Spanish underscoring to Darion’s dynamic lyrics to Wasserman’s ability to weave Miguel de Cervantes’ timeless 17th century masterpiece into a cohesive modern musical, this really is a stunning work of art. Interestingly enough, these three never collaborated on anything ever again. It’s truly a shame if you love this work like I do. I was such a fan, in fact, that I once reached out to book writer Dale Wasserman’s daughter (we’ll call her Tanya) and told her about my affinity for her father’s work. Wasserman passed in 2008, but his daughter mentioned that he had been working on a new musical shortly before he died. A sort of adaptation of La Mancha but different. I was intrigued. Tanya explained via email correspondence that once Wasserman had moved to Arizona (he actually did), he became a huge Diamondbacks’ fan and started watching baseball religiously. I explained to her that this was a huge coincidence because I was a big baseball fan as well as a musical theatre buff! There aren’t many of us around. Tanya was thrilled as well. She then continued to tell me that the La Mancha adaptation was actually baseball themed. “Oh?” I said. I hinted that I would love to peruse it for myself. Tanya obliged as long as I took good care of her father’s only copy. I agreed and in one week, a huge binder that once served as a baseball card collector’s book arrived at my door. This HAD to be Wasserman’s script. As I opened the front cover, I lept with joy. I would finally get a peak into the brain of a writer from one of my favorite musicals. AND he likes baseball! What a treat! As I spent the next day and a half locked in my room, I read then re-read then re-re-read Wasserman’s work. It was brilliant. 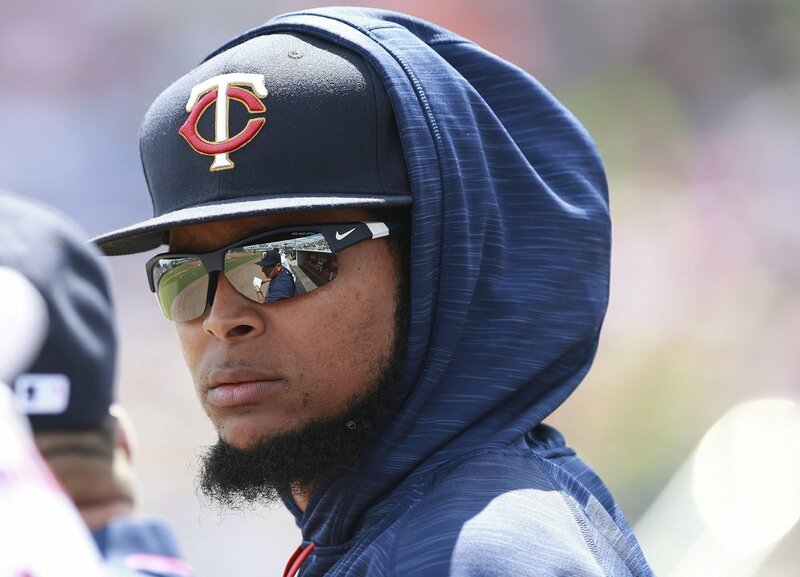 It was also strangely prophetic for it’s theme was a unique one: Ervin Santana’s 2017 season with the Minnesota Twins. It is the middle of summer many years in the future in a very dingy prison. This prison is a sort of throwback to the old, Spanish prisons used during the time of the Inquisiton. Oddly enough, we come to find out that this is intentional for the Inquisition has returned except this time it’s strictly for baseball. This version is run by Rob Manfred and punishes those who post inflated, career-defying statistics. Enter: Ervin Santana and his battery-mate and trusty squire, Joe Mauer. Santana insists on referring to Mauer as Sancho. This causes obvious tension between the two throughout the show. The chamber is already full of Commissioner Manfred’s prisoners like Jason Vargas, Ryan Zimmerman, and even Bud Norris. Vargas steps forward as the leader of the gang and demands to know why Santana has posted such ridiculous numbers this season. Before he answers to the Commish, he must answer to his peers, Vargas explains. The other prisoners clamor for a trial. “Answer for your inflated stats!” they all yell. Santana obliges. He tells them he’s not only a major league pitcher but an accomplished story teller as well. He even recalls fondly spinning tales for Brian Dozier as the second baseman drifted off to sleep on road games. He implores the prisoners to give him their attention for he will tell the tale of a pitcher not so different from himself and the magical season he once had. And with that, he and Mauer don Twins uniforms and begin on their journey with the song “I, Ervin Santana” to tell the tale of Santana’s 2017 season. The pair’s journey starts along a Midwest American country road where the mighty giant of Kansas City resides. Though once a fearsome beast, Santana points out that the giant Royal is nothing but a mere windmill at this point. Mauer observes that the beast can be easily vanquished. Santana and Mauer indeed make short work of the cowardly Kansas City Royal, who has seemingly lost interest in being competitive for the season. “NEXT!” exclaims Mauer as they continue down the road. As the two are basking in the glow of easy victory, they spot the castle of US Cellular. 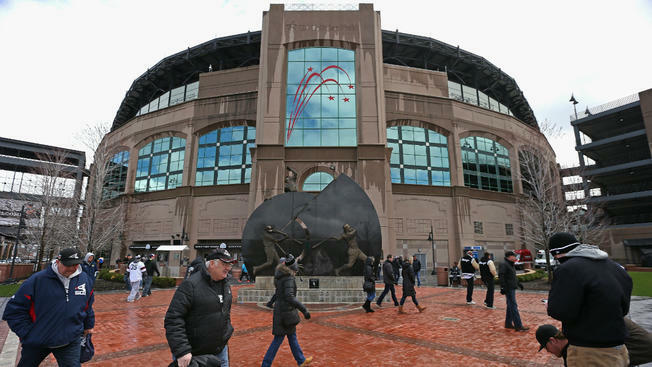 Once inside, they discover the wench Kenny Williams bragging about how wonderful the White Sox minor league system is. “We have the best youngsters in the land,” he says. He goes on to explain that he could care less about who’s on the major league roster at this point because the future is so bright. Williams sings “It’s All the Same” in reference to his ragtag big league team. Santana, feeling threatened by the boastful Williams, challenges the White Sox to back-to-back games of baseball and gives up nary a run. In fact, Santana and Mauer are so masterful as the pitcher and catcher that they only give up 3 hits total in the two games. Williams is stunned. He is so overcome with emotion by the mastery of pitching that he sings the beautiful ballad “Dulcinea” to Santana and the Twins. It’s awkward for everyone involved. At this point, a group of ruffians who call themselves ‘The Fantasy Community’ show up. They howl with laughter at Williams’ obsession with an ‘old, washed up donkey’ like Santana. They taunt Williams with a parody of his “Dulcinea (Reprise)” making sure to point out that Santana will reveal his true nature in no time. “The ESPN Player Rater is a flawed system and should not be taken as gospel,” one member of the fantasy community remarks. They warn Williams not to be enamored with short-term success. We come to find out they are not the only ones concerned. At this point in the musical, we are introduced to two close friends of Santana, the noble Padre Eno Sarris and Santana’s nephew Paul Sporer. The two sing “I’m Only Thinking of Your Fantasy Team” to express their concern of the increasing hype surrounding Santana after 3 great games against inferior opponents. Their concerns only increase after Santana vanquishes the Native American monster of the Ohio Valley and the feared cowboy, the Texas Ranger, in competitive games of baseball. Sarris and Sporer point out that Santana, while he has been looking good on the surface, has been allowing his opponents to walk too much in the battles. They also express anxiety over Santana’s career track record warning that he will inevitably be defeated. He’s too old and not skilled enough to keep this going. They note he has been getting rather lucky in his battles as well. They make a vow to follow Santana and rescue him from himself before he can harm others. As Sporer and Sarris arrive at Santana’s home in the great North, they realize they are too late. They stumble upon the Athletics of the West engaged in a baseball game with Santana, Mauer, and 7 of their compatriots. Sarris and Sporer stare on with disbelief as Santana only allows 3 hits and strikes out 7 in a brilliant 6-inning shutout. Santana shouts about having defeated the “Golden Helmets” as he sings about winning the Athletics’ “Golden Helmet of Mambrino” as his prize. Drunk with success, Santana believes he has done enough to warrant consideration as a legitimate Cy Young contender even though he has only vanquished 6 opponents this season. He knows no one wants to believe his success, and yet he will not give up the dream. “If Rick Porcello can do it, anything is possible,” he tells Mauer late one night over a bottle of Rum. Mauer drifts off to sleep, and Santana is left alone to ponder life as a good pitcher. Not only in his own eyes but also in the eyes of the fantasy community and baseball fans abroad. He sings “The Impossible Dream,” as the curtain falls on the first act.